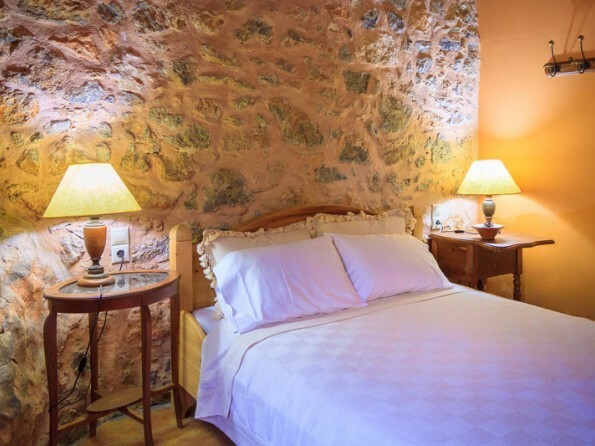 This village house has been exquisitely restored and is furnished with selected pieces from Neoclassical Greece and paintings of well known contemporary Greek artists. 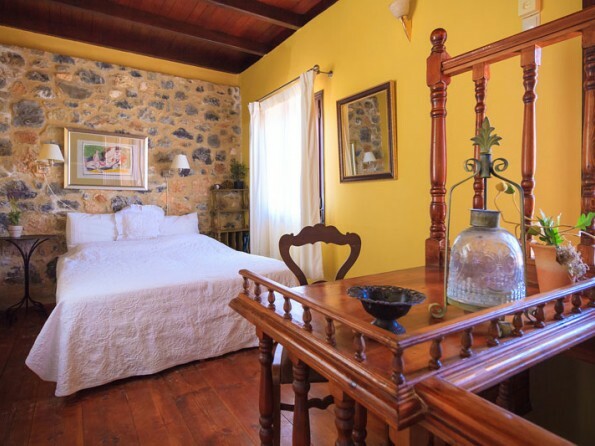 All its rooms open onto either the courtyard or the terrace and have stunning sea views. 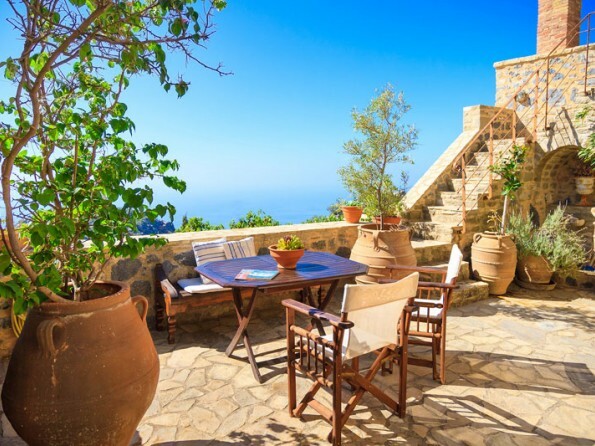 Experience authentic Cretan life whilst still having beautiful sandy beaches on your doorstep! This is one of three holiday houses which have been restored by their conservation architect owner. 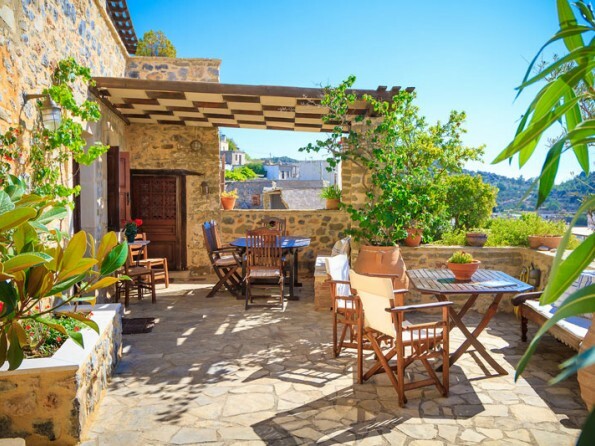 The houses have been restored in keeping with authentic local Cretan style and their unique character has been enhanced with beautiful detailing. 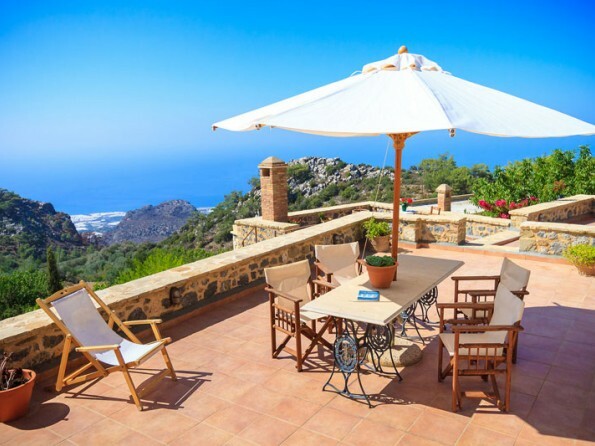 They face the southeast and capture magnificent views out to the Libyan sea from every room, terrace or courtyard. Their interiors are furnished with selected pieces from 19th century neoclassical Greece and with paintings of well known Greek artists. All rooms open either to the courtyard or the terrace and capture views of the sea (except for the smallest double bedroom). 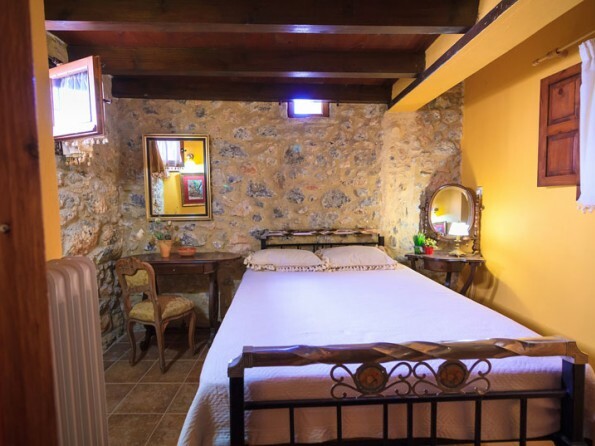 It can accommodate up to 9 people, in four double bedrooms and a single sofa bed in the sitting room. 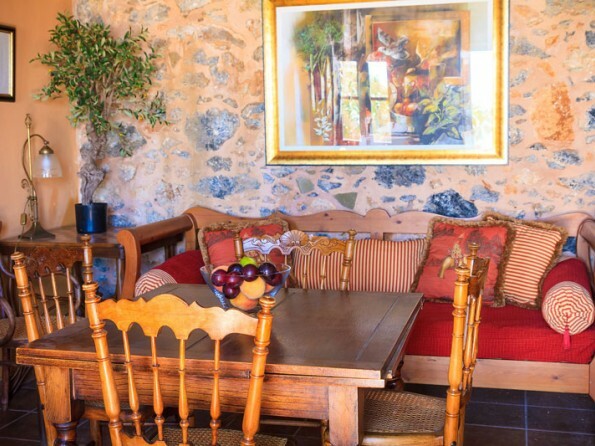 The sitting room has a fireplace, there is a spacious kitchen, and two bathrooms. It works well as a spacious house either for one or two families, or for friends, as the en suite bedrooms are at opposite ends of the house with the communal areas in between. 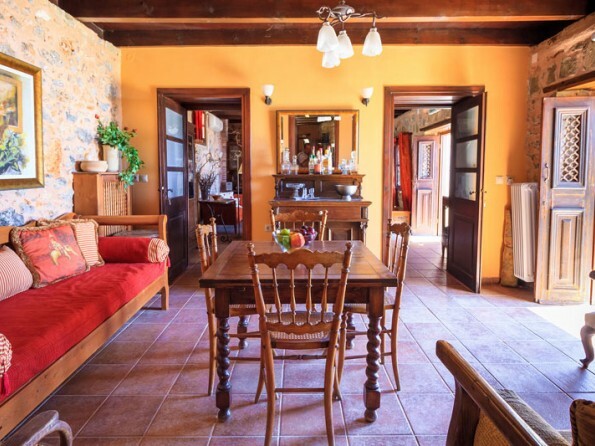 The house has a 60m2 courtyard and a 100m2 top terrace where you can sit in the sun, or watch the sun go down with an aperitif before dinner. 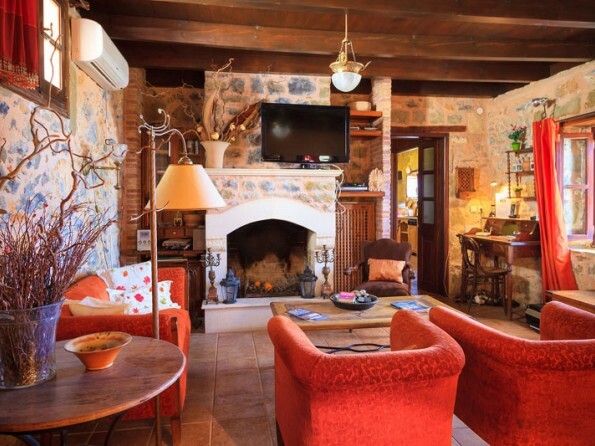 A great location for your Greek holiday house! A welcome food basket is included in the price. Central heating and firewood also included in the price (November – April).